Please see the sections below for details about of each of these programs. We have certified child passenger safety technicians on staff that will provide FREE child restraint inspections. They can check your child restraint to make sure it is safe and not recalled, and will teach you how to safely secure your child in the restraint and how to install the restraint properly in your vehicle. A child restraint program is available for families who are struggling to purchase a safe restraint for their child. Families, who are currently enrolled in at least one government assistance program such as, WIC or FoodShare, qualify. 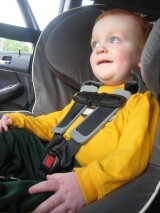 We encourage a donation of $25 for infant, convertible, or combination restraints and $10 for a booster seat. A child restraint rental program is also available. This program is designed for short-term rentals, with a maximum rental period of two weeks. A $25 deposit for infant, convertible, and combination restraints and $10 for boosters is required, but refunded once the child restraint is returned. For a child restraint inspection, or for more information on the programs we offer, please contact the Health Department. 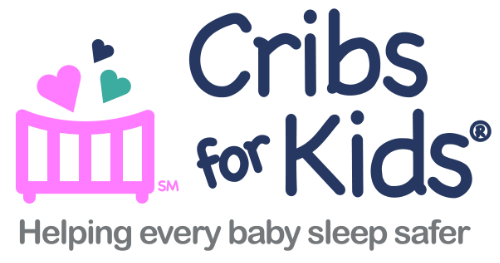 Cribs for Kids® is a safe sleep program designed to educate families on proper sleep practices for their babies and provide safe sleep environments for the babies if needed. Families who are in need of a safe crib for their child and are enrolled in at least one government assistance program, such as WIC or FoodShare qualify to receive a Graco Pack ‘n Play. We encourage a donation of $25 per crib. For more information contact the Health Department. Safe Kids Wood County was formed in 2006 and is led by the Health Department. The coalition's mission is to reduce unintentional injuries by empowering families and communities through educational initiatives and policy, systems and environmental changes targeting children 17 and younger. Safe Kids Wood County partners with Marshfield Medical Center-Marshfield Children’s Hospital to offer car seat clinics. The car seat check is free of charge and no appointment is necessary. For more information call Heather Krzykowski at 715-387-7083 or Liz Kracht at 715-387-9675.